A new distribution agreement has been signed between SatService GmbH and LP Technologies Inc. (LPT) which will allow the former to sell the latter's spectrum analyzers and software products. LPT’s LPT-3000RX4 has optional built-in Carrier Identification and Extraction capabilities, saving customers money, valuable rack space and time between interference detection and Identification extraction. The LPT-3000RX4 also has optional built-in Ka-, Ku-, and C- to L-band built-in down converters. 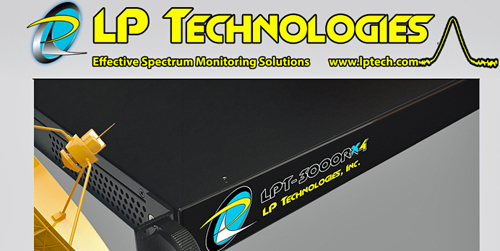 In addition to hardware, LP-Technologies delivers carrier monitoring and interference detection systems: LP LPT-ASM is the most affordable spectrum monitoring system and LPT-LEO is the first and only SMS dedicated to addressing the needs of the LEO satellite industry. SAT-SERVICE GmbH and LP TECHNOLOGIES, Inc. will be at Booth # 1.F47 during the IBC exhibition at the Amsterdam RAI Exhibition and Congress Centre between September 9th and 13th, 2016.